Back in Arrow Season 2, the show introduced the Suicide Squad, the infamous group of incarcerated bad guys who are sent on dangerous missions by the government in exchange for leniency. It looked like the team had a bright future ahead of them on the series, but months later, the Suicide Squad movie was announced for the DC Extended Universe. Since then, Arrow’s Suicide Squad has been phased out, and Willa Holland, a.k.a. Thea Queen, isn’t pleased about how this all went down. We were about season two when they started telling us we had to start basically killing off the Suicide Squad that we were starting to build on our own. We were actually trying to build that on our own on the show, and I guess once DC found out they were going to be doing their own movie of it, we had to ax all of the characters before we even got to show them, which was a little annoying at first. With a few exceptions (like the Flash), the DC movies and TV shows don’t usually share characters, so with Suicide Squad coming in August, their live action future is cemented on the big screen. Even on the off-chance that Arrow could use the Suicide Squad again, John Diggle’s wife Lyla is now running ARGUS, she’s not the type to keep using criminals for official missions. Plus, most of the regular Suicide Squad-related characters are dead. 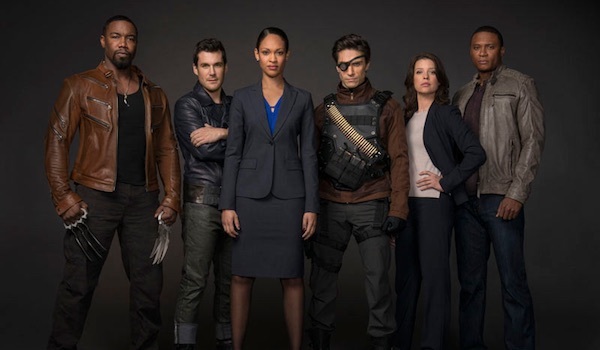 Shrapnel died when he tried to flee the Squad’s first mission, Bronze Tiger was killed off in the Arrow Season 2.5 comic book series, Deadshot seemingly perished in Season 3’s “Suicidal Tendencies” and Amanda Waller was gunned down in Season 4’s “A.W.O.L.” The only one left is Cupid, and if she returns following her wedding crashing in “Broken Hearts,” she’ll likely stay a regular super villain rather than a government operative. Marvel does it in their own weird right, kind of mash between Agents of S.H.I.E.L.D. and the movies and stuff. So it's a little upsetting because you know it is possible and it can be done and how good it would be if it was done. While the prospect of seeing the DC movies and TV shows operating in the same universe is still an appealing concept to many viewers, Agents of S.H.I.E.L.D. fans also know too well that the movies barely acknowledge what happens on the shows. So while Stephen Amell and Grant Gustin could have been Green Arrow and Flash, respectively, on the big screen, there’s no guarantee that Suicide Squad could have remained players on Arrow if their movie had still been greenlit. The Arrow Season 4 finale aired last Wednesday, and Season 5 will premiere sometime this fall. Stay tuned during the summer for the latest casting announcements and other news for the show.